In the early 1940s, a loving father crafted a small blue wooden engine for his son, Christopher. 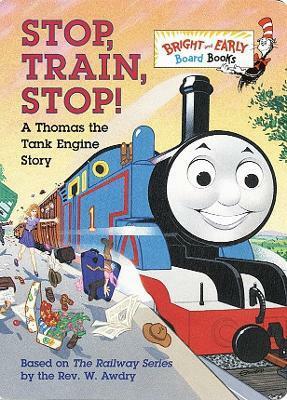 The stories that this father, Reverend W. Awdry, made up to accompany this wonderful toy were first published in 1945. He continued to create new adventures and characters until 1972, when he retired from writing. Reverend Awdry died in 1997 at the age of 85. Jane E. Gerver is the author and illustrator of numerous books for young readers. She's also adapted several classics, such as Jane Eyre and The Prince and the Pauper, to help introduce children to literature.